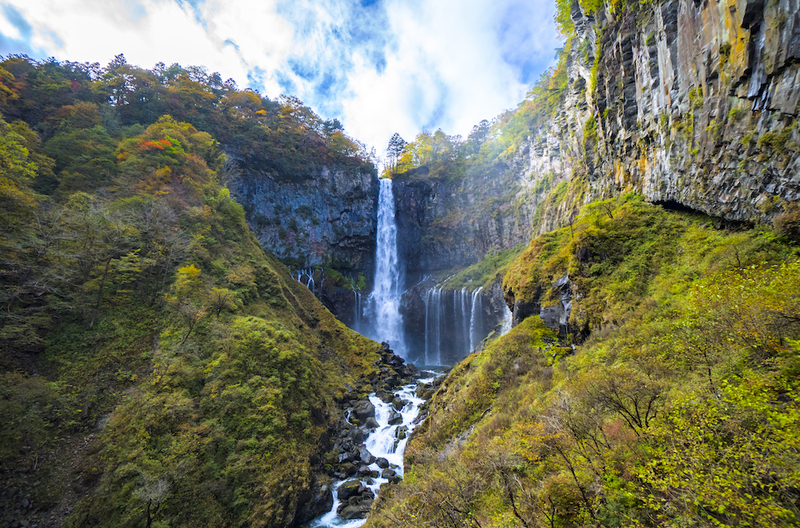 One hundred fifty miles north of Tokyo, Nikko, in the Tochigi Prefecture, is known for its beautiful mountains, and a national park with old growth cedar forests, waterfalls, natural hot springs and a picturesque lake. Throughout the year, Nikko has much to offer. Lying within Nikko National Park, during the fall, its trees burst with color, so it is understandable why it is known for being one of the best places in the world to see the fall colors. During the winter, there is skiing and other winter activities. Its cherry blossoms are a big draw during the spring, while throughout the summer, people wishing to escape the heat of Tokyo flock here to enjoy the moderate climate and take advantage of such outdoor activities as hiking and biking. In Nikko, there are ample ways to enjoy its beautiful landscape which are reminiscent of the European Alps. Nikko National Park offers waterfalls, a beautiful lake, cedar forest and ample trails for hiking enthusiasts. 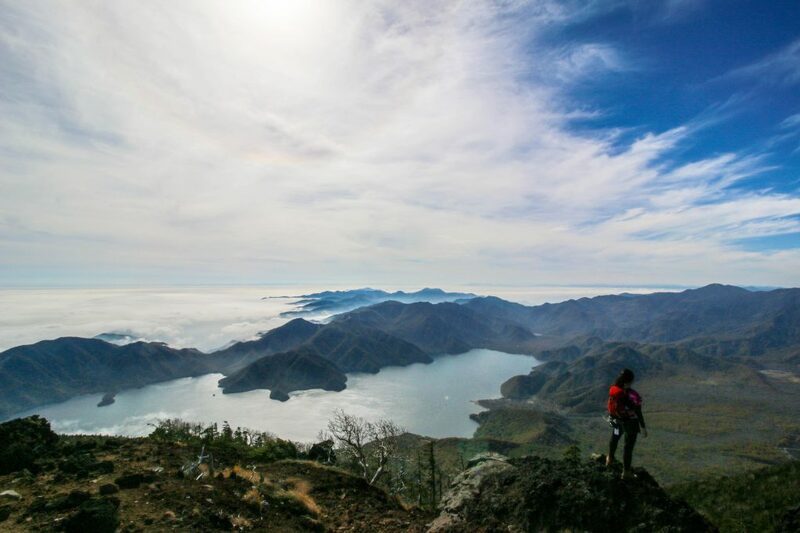 One of the most famous sites in Nikko is Lake Chuzenji, The lake, which is at an altitude of 1,269-meters, was created by the volcanic eruption of Mt. Nantai more than 20,000 years ago. Here, you can take a boat tour of the lake aboard a new multi-level boat that offers 55-minute-long tours (every hour on the half hour from 10:30 am to 2:30 pm). Called the Tobu Chuzenji Cruise, the boat launches at Funenoeki and goes to Shoubugahama and Tachiki kannon, before returning to Funenoeki. 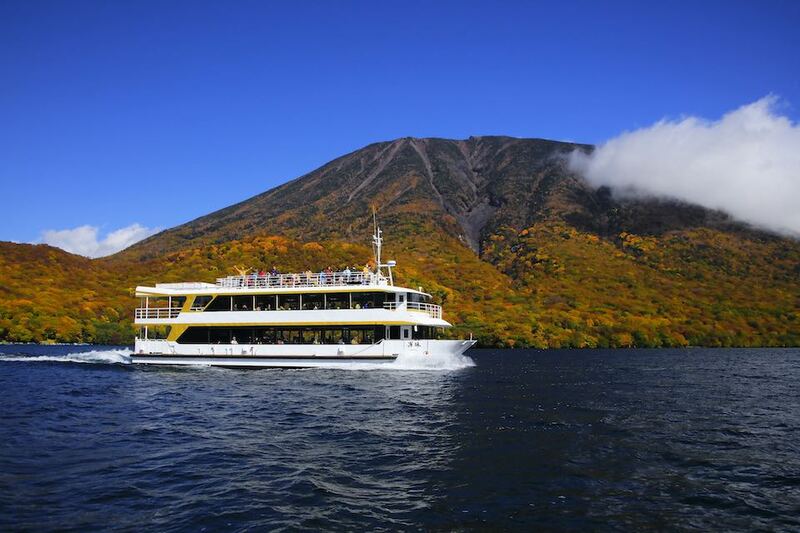 An audio recording (offered in both Japanese and English) describes different sites on the lake, which you will learn was created by a volcanic eruption of nearby Mt. Nantai more than 20,000 years ago. A private cabin in the front of the boat on its second level, which comfortably seats eight people, is available to reserve for an extra fee. The private cabin has a private outdoor deck. A 25-kilometer long trail that traverses the perimeter of the lake is ideal for walking, biking and hiking. During the early part of summer, there are magnificent azalea flowers to see on the trail. During the autumn, the foliage is bursting with color. Or, if you prefer climbing, you can hike up Mt. Nantai, a 2,486-meter high volcano. There is a trail for experienced hikers that takes three to four hours, as it is a strenuous four-kilometer climb to the top. The trail is open from early May and late October. Kegon Falls, which is near to the lake, is a waterfall with a 97-meter drop to a basin below, with twelve smaller falls that are halfway down. It is considered to be one of the three most beautiful waterfalls in Japan. For a small fee, visitors can view the waterfalls from a multi-level platform that offers a bird’s eye view. A short distance away is the Kanmangafuchi Abyss, which is a rocky gorge in Central Nikko that was formed by an eruption of the nearby Mt. Nantai. There is a walking path above it that offers striking views. The path is lined with more than 70 stone statues of Jizo, a Bodhisattva god who cares for the deceased. The statues, which are covered in moss are adorned with red bibs and red knit caps that create a striking contrast. 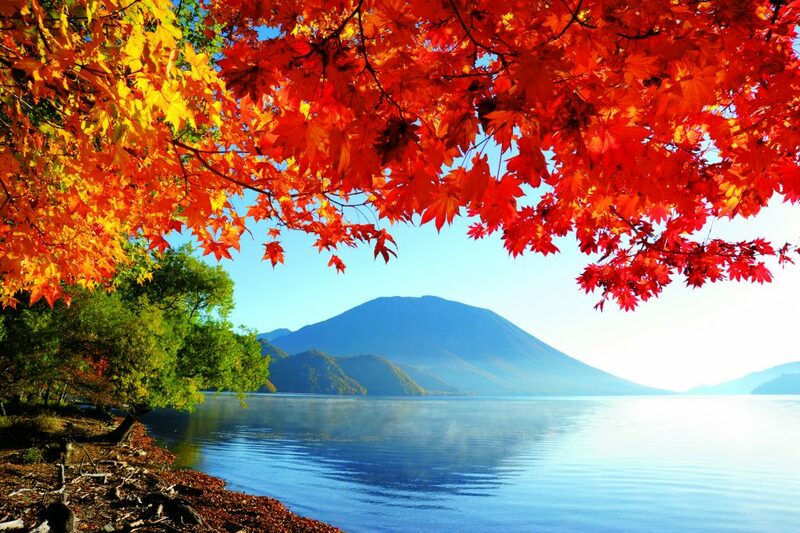 The colorful foliage seen here during the autumn months is excellent. Another natural site to seek out is the Cedar Avenue of Nikko. Here, you will see more than 12,000 beautiful cedar trees that were planted during the early Edo period. With a total length of 37-kilometers, Cedar Avenue is recognized by the Guinness Book of World Records as being the world’s longest tree lined road. Cedar Avenue has been designated by the federal government of Japan as a “special historic site” and a “special natural monument.”. During the winter months, it is possible to enjoy many different snow-related activities. Skiing and snowboarding are offered from December through March at Edelweiss Ski Resort and Nikko Yumoto-Onsen Ski Slope while snowshoeing is available at Yunishigawa Onsen and Oku-Kinu Onsen. At the Mini Kamakura Matsuri, a “snow house” festival, visitors can make their own “kamakura”, which is an illuminated snow hut. In 2019, the festival will run from January 26 to March 3. Ice skating is offered at the Nikko Kanaya Hotel (see below), which has its own outdoor ice-skating rink. Yumoto Onsen hot springs, which is north of Yunoko Lake, has a long history as it was discovered more than 1200 years ago. Its waters, which are emerald green in color, turn a milky white when exposed to oxygen. Its waters are believed to purify the skin and improve circulation. There are many resort hotels located in the town of Yumoto Onsen, many of which allow day use of their baths for a nominal fee. Yunishigawa Onsen hot springs is open for day trippers and offers an open-air onsen. 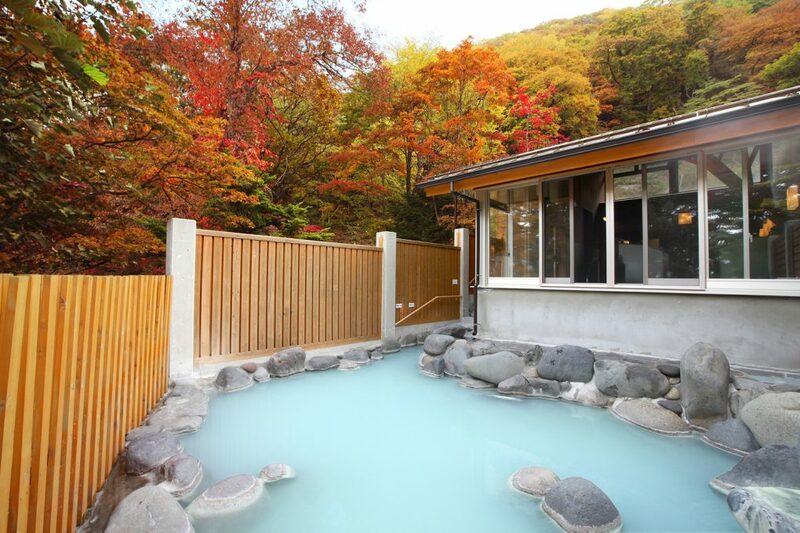 Yunishigawa has a long history as it is said that 800 years ago, its hot springs were discovered by injured soldiers whose injuries were healed by its therapeutic waters. Its waters are known for being particularly healing for those suffering from rheumatism, gastrointestinal disorders or stiff muscles. At Kinugawa Onsen hot springs, north of Nikko (easily reached by train), there are several onsen available for day trippers. The water here originates from the Taki Hot Spring that was discovered during the Edo period. The hot springs here are particularly famous for healing burn injuries. There are 80 hotels and ryokans located here from which to choose. For those with sore feet, but are not interested in a full-body experience, there are a number of Ashi-no-yu to be found, which are local footbaths. For a small fee, you take off your shoes and socks, sit on a bench under a gazebo and soak your feet to your heart’s content. 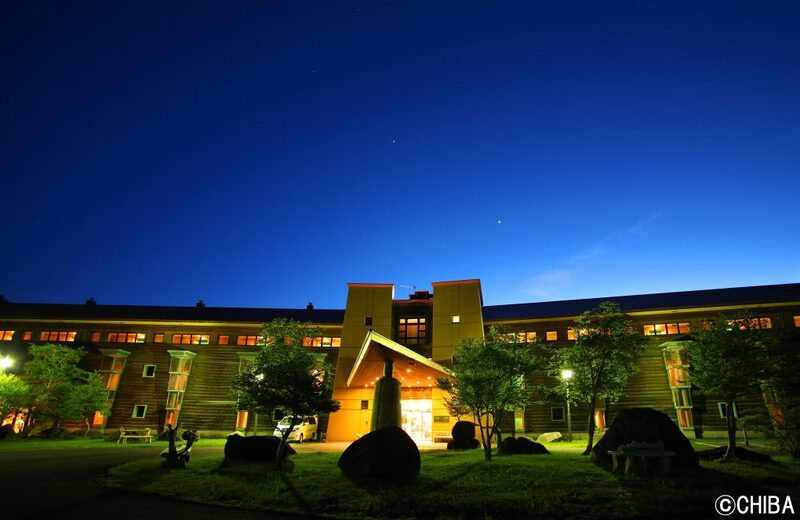 At Hoshino Resorts KAI Nikko (also described below), which is located on the banks of Lake Chuzenji, there are separate indoor and outdoor onsen for men and women. While its onsen is for the exclusive use of its guests, it is expansive and beautifully presented. The indoor onsen resembles a swimming pool, while the outdoor onsen is built out of river rocks and resembles a natural hot spring. Bathing suits are not permitted, but children are welcome. Nikko is an important, historic place and the location of several Buddhist temples and Shinto shrines that comprise a world-renowned UNESCO World Heritage Site. 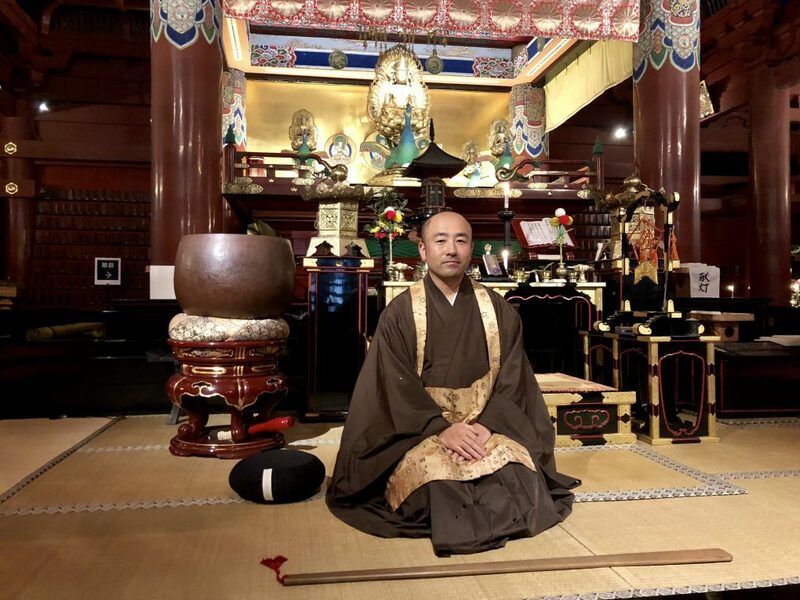 At the Tendai Buddhist temple, which dates back to 766 and is comprised of fifteen sub-temples, it is possible to arrange for a private meditation session with a monk. For a nominal charge, one of the temples will be closed to the public so as to provide a quiet space. The monk will provide instructions for the best technique for breathing and posture. The meditation, you will discover, is to strengthen and clear the mind. The meditation session may last as long as 45 minutes, but a portion of that period of time is for the instruction. Stay in a ryokan to completely immerse yourself in the local culture. Nikko offers a number of authentic ryokans, which is traditional Japanese inn and one of the best ways to experience the local culture. One of the most luxurious ryokans in Nikko is the Hoshino Resorts KAI Nikko Hotel, which is located on the banks of Lake Chuzenji. The hotel is a contemporary ryokan, that is luxurious, quiet, and extremely private. Although it is expansive, the hotel only has 34 guest rooms. Its facilities, including its restaurant and onsen, is for the exclusive use of its guests. Massages, which are offered in guest rooms, are available upon request. The Hoshino Resorts KAI Nikko has a beautiful restaurant that offers two seating’s for dinner (5:30pm and 7:30 pm). Guests are seated in individual, private dining rooms where they are served a traditional 10-course Kaiseke menu that changes nightly. Breakfast and dinner are included in the hotel’s room rate. Guests are encouraged to wear robes to the restaurant. Each evening from 7:30 pm to 10:30 pm, there is complimentary sake served in the lobby. And at 7:00 pm every evening, professional dancers perform a traditional dance on a stage outside the dining room. The Nikko Kanaya Hotel was the first western-style hotel to open in Nikko. The hotel, which dates back to 1873, is centrally located and within walking distance of many important sites. The hotel is situated in a beautiful park-like setting and is alongside the beautiful Daiya-gawa river. The Nikko Kanaya, where such well-known guests as Charles Lindbergh, Albert Einstein, Indira Ghandi and the Duke of Windsor, once stayed, offers spacious guest rooms, a formal restaurant and a cozy cocktail lounge. It also has an outdoor swimming pool that is open during the summer and an ice-skating rink that is open during the winter. 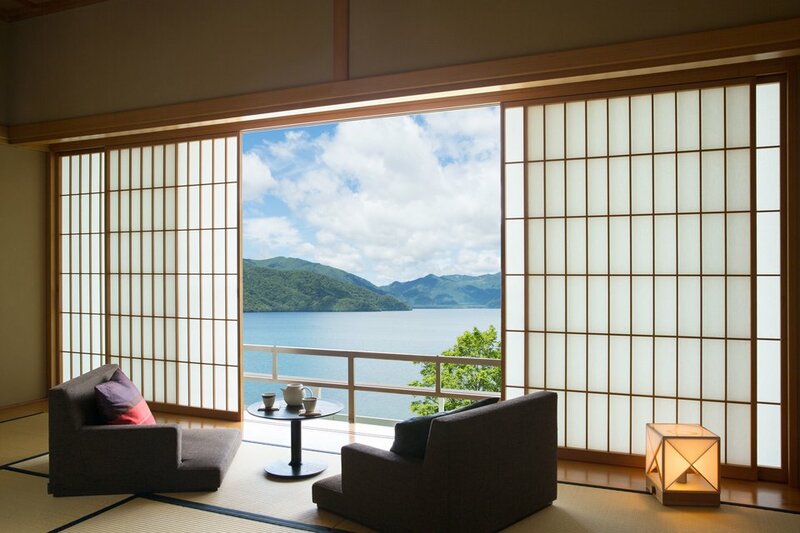 The Chuzenji Kanaya Hotel is located near the shore of Lake Chuzenji and offers breathtaking views of the lake. The hotel offers guest rooms and spacious suites, including an enormous suite that is 114 square meters in size. The hotel’s main dining room which features western-inspired cuisine, overlooks the lake. 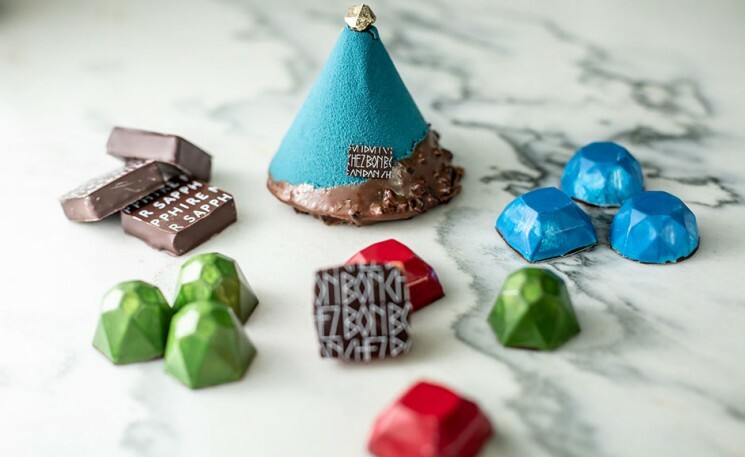 The Ritz-Carlton Nikko, which is located on the banks of Lake Chuzenji and is currently under construction, is due to open in time for the 2020 Summer Olympics. The Ritz-Carlton Nikko will feature 94 luxurious rooms and is bound to be one of the top hotels in all of Japan when it opens. 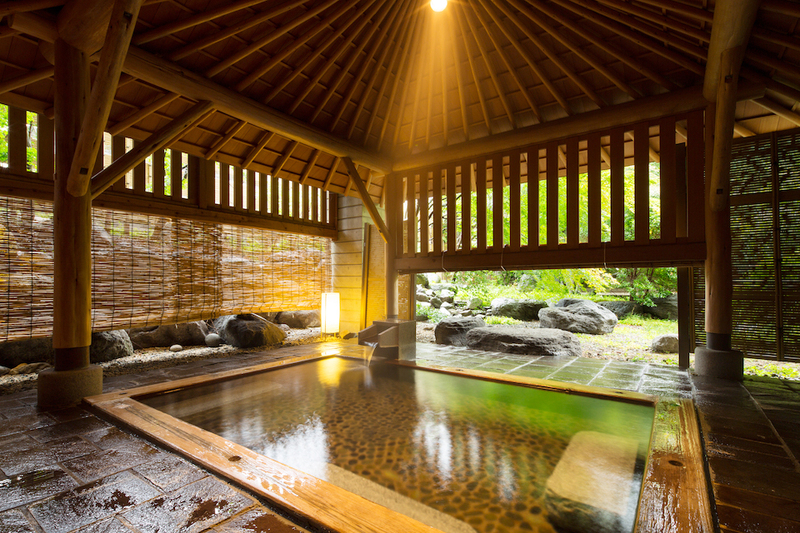 The hotel will offer a world-class spa with onsen that will feature the waters of mineral rich Nikko Yumoto. The easiest way to get to Nikko from Tokyo is to take a Tobu Railway train. The trip, which takes less than two hours, is scenic and comfortable, as the seats recline. The Tobu Nikko Line starts at Asakusa Station and Tokyo Skytree Station and the Tobu-Nikko station is the final stop. You can purchase tickets directly at TOBU Tourist Information Center ASAKUSA Station’s ticket counter. International visitors are eligible for a discount pass that includes round-trip train fare as well as unlimited rides for bus and train services in the Nikko area, including the World Heritage area (and the Kinugawa-onsen area). 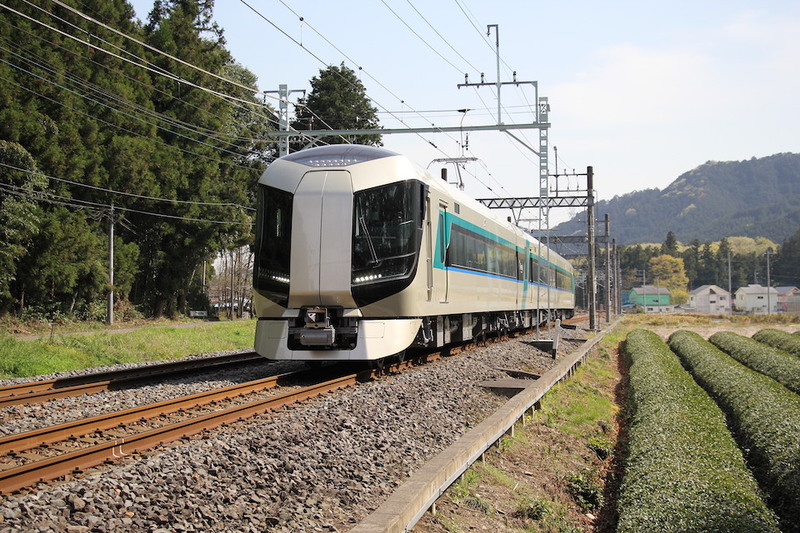 Tobu trains are very dependable and are nearly always on time.